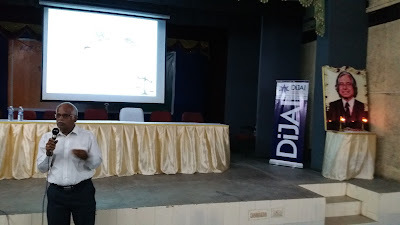 After the formal launch, DiJAI organised a workshop on 'Digital journalism'. Three experts shared their views on three different topics. Shri Vinoth Poovalingam, CEO, Hocalwire made a presentation from Delhi through tele-conference on 'Global trends in Digital Journalism'. Shri Vinoth manages the technology part of several news portals. His presentation is given here. 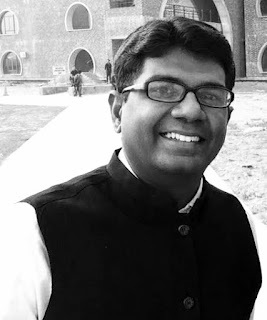 Shri V Rajendran is a Cyber Law Consultant and Advocate. He is one of the Editorial Team members of PreSense and a Trustee of DiJAI. He made a presentation on 'Cyber Laws affecting Digital Journalism'. His presentation is given here.